During the social media event, @AltoAdigeWines tweeted,"Get ready for a truly unique varietal that is native to Alto Adige: #Lagrein!" They added, "The first documented mention of #Lagrein in Alto Adige was in the year 1318." The Abbazia di Novacella Praepositus is imported by Michael Skurnik Wines, and they offer a bit of history about the producer. “Located in the sleepy little burg of Novacella, in the Isarco River Valley," they write, "Abbazia was founded in 1142 by the Augustinian Order of Canons Regular. The Augustians are not monks in the sense that you may be familiar with. They have taken vows of poverty, chastity and obedience to their superiors, but they also work to support themselves as a part of their community. To this end, the Abbey not only grows grapes for winemaking, but also farms apples and vegetables, and there is a small school devoted primarily to studies of viticulture. The abbey’s reputation as a winery is stellar and international. In 2009, Italy’s influential Gambero Rosso named Celestino Lucin, the abbey’s enologist, winemaker of the year." Skurnik adds that while the winery has not done the bureaucratic legwork necessary to achieve Italy's organic certification, "the estate is practicing organic." Fermentation for this Lagrein occurs in stainless steel tanks, with regular punchdowns for almost three weeks to maximize the skin contact. Malolactic fermentation is allowed to complete and the wine is aged for 18 months in French oak barrels, then nine months in the bottle. Alcohol is moderate at 13.5% abv. 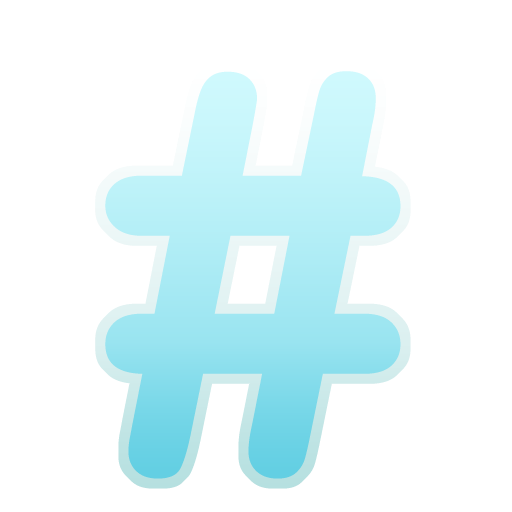 On the social media front, @KMacWine tweeted, "#Lagrein is a wine that every serious wine lover should know. Definitely try to find one if you haven’t tried it before." This red wine is very dark, both in appearance and in smell. The wine's nose offers lovely aromas of blackberry and blueberry draped in savory notes of spice, herb and black olives. The palate is just as complex, with black berries, anise, a little tar and a trace of espresso. @AltoAdigeWines advises pairing the 2010 Abbazia di Novacella Praepositus Lagrein with roasted meats & aged cheeses. @thedailysipsuggestspairing this Lagrein "with a Weinkase Lagrein (aka wine cheese), which is made by aging the cheese in #Lagrein wine." The history of Kellerei Kaltern-Caldaro is described on their website as the result of two combined wineries. "Today’s operation was formed by the 1992 merger of two long-established local cellars, the Bauernkellerei (Farmer’s Cellar) and the Jubiläumskellerei (Jubilee Cellar)." Both producers were established in the early 20th century. Their historical sketch continues: "In 1919, after the First World War, Alto Adige became part of Italy. The subsequent outbreak of the Second World War radically transformed the region and its network of commercial relationships. It was only in the Fifties that Kaltern wines reasserted themselves as high-profile products for export markets." The word Kalterersee on the label is German for Lake Kaltern. An Auslese wine, in German, means the grapes were picked as late harvest, although the botrytis that often comes with late picking does not generally dominate these wines. This one is certainly not a dessert wine. fermentation occurred on the skins for ten days, with malolactic fermentation to soften the mouthfeel and six months of aging on the lees - in contact with the spent yeast cells - which also adds to a full feel in the mouth. The aging took place in steel tanks as well as casks. The Pharrhof Kelterersee is made from 95% Schiava and five percent Lagrein grapes, at 13% abv. @AltoAdigeWines pointed out that "the Schiava grape variety is native to Alto Adige," while @KMacWine tweeted, "Most people know the whites of Alto Adige but red wines like schiava and lagrein are a flavor trip!" From @thedailysip: "The precision in this wine is like making the switch to HD TV for the first time." The wine has a dark ruby hue, with almost no light admitted through it in the glass. Aromas are subtle and indicative of a cool vintage in a cool-climate region - raspberries and minerals with dark savory notes of black olives and roasted nuts. More fruit comes through on the palate, with strawberries lending some ripeness to the tart raspberry flavor. The level of acidity is a marvel and the ripest fruit is saved for the finish. I liked the wine paired with a nice salami and a sharp cheddar. @AltoAdigeWines says, "Pair the 2014 Kaltern Caldaro Pfarrhof Kalterersee w/ light meats and mild cheeses." It makes a great apéritif, too. The Vorberg Pinot Bianco is from Terlano. It is made from 100% Pinot Bianco grapes, whole cluster pressed and slowly fermented in big oak barrels. The wine underwent full malolactic fermentation and was aged on the lees - spent yeast cells - for a period of 12 months. Both of these features help create a full, round mouthfeel. Alcohol is 14% abv, a tad higher than usually found in Italian whites. Cantina Terlano's first vintage of this wine was in 1993. This Pinot Bianco shows brilliant yellow gold in the glass, a really gorgeous tint. One whiff gives you the lowdown on Italy's Alto Adige region - minerals aplenty. A plethora of minerals. More minerals than at which you can shake a stick. There is fruit on the nose, but that apricot aroma is there only because it was invited by the minerals. In the mouth, razor-sharp acidity tingles like a low-voltage current. Apricot pokes its head out the door again, but returns to the party in the company of the minerals. Pairings? Oysters are a no-brainer. Salami is also a good choice, as is linguine with garlic and capers. A recent online tasting session featuring wines of Italy’s Alto Adige region was staged by Alto Adige Wines and Bottlenotes and hosted by Karen MacNeil, author of The Wine Bible and acting editor-in-chief of the daily email blast, The Daily Sip. Participants tasted the eight wines and chatted in virtual fashion about their swirling, smelling and sipping experiences. 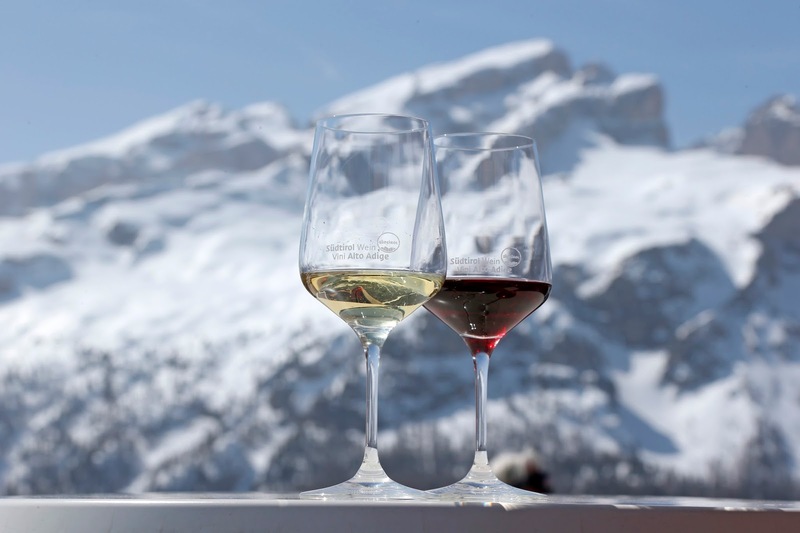 You may know of Alto Adige - located in the far northern reaches of Italy, just below Austria - by their aromatic white wines with wonderful minerality and acidity. Only sixty percent of the area’s wines are from white grapes, however. Pinot Grigio is the leading white grape, and they are probably a far sight better than the Pinot Grigio you may find in the grocery or on restaurant wine lists. Schiava is the most popular red grape, with Lagrein and Pinot Noir also showing well. The land of Alois Lageder Winery is located on the scree of Magrè, and I'd be lying if I said that doesn't sound like a cool address. The winery has been there since 1823, and Alois Lageder is the fifth generation of his family to run the business. There is a lot of limestone in the estate's rocky, sandy soil, and the temperature swings wildly between day and night. This Pinot Grigio is made with grapes that are certified organic and Demeter biodynamic. Twenty percent of the wine ferments spontaneously in wooden casks, while 80% does its thing in stainless steel tanks. Aging occurs over five months on the lees - in contact with the spent yeast cells - for added depth and body. Winemaker and participant in the social media event, @alisoncrowewine, tweeted a nice tidbit: “Did you know Pinot Grigio skins are actually purple? That's what makes it so tough to make - the wine can turn pink!" But would that be such a bad thing? This 13% abv Porer Pinot Grigio exceeds expectations. My expectations of the PG grape are not very high to start, so that by itself is not a great compliment. Despite the simple fruit, sweet nose and flabby acidity that usually marks the Pinot Grigio experience, this Alto Adige example really rocks. It retails for $26. If that's a little higher than the PG you get from your grocer's shelf, just know it's worth it. The golden tint is lovely and the nose is a beautiful scent of apricot and Meyer lemon. Minerality is rampant in the aromas and a whiff of smoke lingers. The acidity is brilliant, the mouthfeel is full and the peach and apple flavors are pure. This is a Pinot Grigio for people who don't like Pinot Grigio. "The modern story of the ancient Castle Sallegg starts in 1851," states the Sallegg website. That is when Archduke Rainer of Austria, Viceroy of the Lombardy and Veneto, bought the castle and surrounding wine estates. I wonder what the poor people were doing that year? Oh, right - picking grapes. This wine is made from 100% Pinot Grigio grapes - various clones - grown in the Kaltern - Pulvernai area. Bottled in Caldaro, the wine hits only 13% abv. On social media, @KMacWine tweeted, "The concept of bitterness is important to understanding #Italian #wine. This Sallegg is a great example of good bitter." She continued, "Bitter doesn’t have to mean bad. Cocoa, olives and coffee are all bitter foods we love." When it comes to Pinot Grigio - a much maligned grape - MacNeil comes to its defense: "The best #PinotGrigio wines have real character. They should not be simply neutral-tasting and bland." From @thedailysip: "We think #PinotGrigio is a great everyday wine and there’s nothing wrong with that." Didn't say there was. @AltoAdigeWines chirped that "PG wines from #AltoAdige are known for their floral aromas, minerality & complexity." In the Sallegg Pulvernai PG, a nice golden tint leads to aromatics that are fruity and laced with minerals. Apricots and lemon-lime give a much more forceful nose than I expect from a Pinot Grigio. The palate shows apples, citrus and minerals in a fresh display, while the acidity is bright and zippy. Crowdfunding has become a prime way to raise money these days for just about any project - even winemaking. 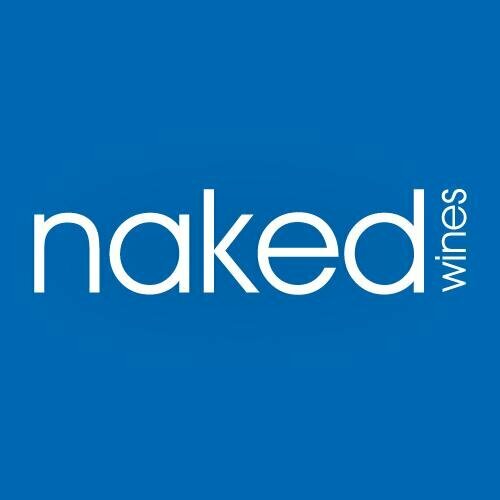 NakedWines.com marries the crowdfunding aspect to the wine club concept in an online wine service that not only sells wine, it gets it made, too. Naked Wines founder, Rowan Gormley, calls his company "a privately funded online wine company that helps everyday wine lovers drink like the rich and famous." They also help to crowdfund promising winemakers in the process. "Over 200,000 customers - called Angels," says Gormley, "invest directly in winemakers by setting aside $40 per month, all of which goes toward their next purchase. The company invests these funds in top-tier winemakers around the world to make wine exclusively for NakedWines.com." One such vintner funded by these Naked Wine Angels is Spanish winemaker Tomás Buendía, making wine in the land of his heritage, the Castile region. "I have always wanted to create wines that reflect a sense of place," Buendía says. "The wines of my homeland are worth discovering and deserve a place in the world market, and I’m excited about the opportunity to produce honest, authentic wines so people can enjoy a glass or two of good, healthy wine every day." Thanks to NakedWines.com Angel investors, Buendía has the funds to create his own label and share it with the world. "Tomás produces fantastic wines in one of the largest winemaking regions on the planet," Gormley says. "We’re looking forward to the big, bold wines he’ll deliver to Angels under his new label to provide a premium taste of Spain at a price a new generation of wine drinkers can afford." 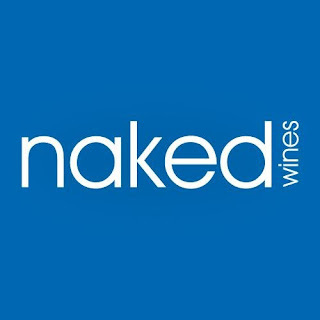 Naked Wines looks like a wine club, but is branded as a crowd funding venture. Is that accurate? "Naked Angels aren't getting automatic shipments like most wine clubs. Nor are they forced to buy wine at a certain rate like most wine clubs. "Angels put $40 a month into their Naked piggy bank. That's like a savings account that they can use to buy wine (whatever wine they want, whenever they want). If they decide they don't want any wine, they can withdraw money from their piggy bank for free (even if they want to leave us and close their Angel account permanently). So it's significantly different from the wine clubs I've seen. "And it's not just branded as crowd-funding; it really is funding hundreds of winemakers around the world. Winemakers like my parents and me get funded long in advance of bottling day and it wouldn't be possible without the Angels." So it's sort of like a flex account for wine? You put $40 into your account each month and when you have enough banked, you can order a case? "That's very accurate - and you can also spend more than what you've saved up just like a flex account. The big difference here is that you still have to pay the tax man. We sure wish we could make wine tax-deductible!" There is a waiting list to become an angel. Why is that? "In 2014, we came dangerously close to running out of red wine. Exponential growth is great in most silicon valley startups, but it takes over a year to produce a bottle of wine from scratch and we were growing so fast that our loyal Angel customers were starting to feel the repercussions. This is the kind of business that really relies on treating customers like royalty - we have no business without our Angels. So we implemented a waiting list to help us time the release of new winemakers with the induction of new Angels. "Now we know every thousand or so Angels on the waiting list will fund one new wine from a talented, independent winemaker." How are winemakers selected to be funded? Do they apply on their own? Can Angels nominate a favorite? "Winemakers regularly apply on their own. Angels also nominate their favorite wines, and we'll try to track down the winemakers behind those labels. It's been pretty organic as we gain steam and momentum, more and more indie winemakers find out about us and join our ranks." Why make a vineyard-specific wine? It’s the dirt. The place where those grapes grow should offer terroir like no other around. Lenn Thompson wrote in the New York Cork Report about single-vineyard wine programs, "and how important it is that they reveal and identify unique place-grape combinations that display consistently." Evan Dawson wrote there, "Single-vineyard wines offer an exciting glimpse into the intricacies of our sense of place, and that's because the people making them have patiently scoured the region for the best locations." If you regularly enjoy the wines of one particular producer, it may be because you have become comfortable with that producer’s site selection. Cornerstone Cellars is one producer which realized long ago that when a great vineyard site comes along, get it. Then, keep getting it. "Wine growing is an unending evolutionary process if you want to make great wine," says Cornerstone’s managing partner Craig Camp. "You need to experience a vineyard over a number of harvests and then taste the wine as it develops over the years to really understand its true character." Camp doesn’t mind waiting out the vineyard as it shows him what it is worth, vintage after vintage. "Only time can show you what a vineyard can deliver then you can decide if it merits the status of a single vineyard bottling," he says. "I've always felt the vineyard should convince me instead of me convincing the vineyard." For a few years, now, Camp and Cornerstone have been working with a few vineyards in Napa Valley that have earned the "single-vineyard" distinction. One of them is Oakville Station Vineyard in To Kalon. Camp and crew have used Oakville Station fruit enough to know that it is worthy of the vineyard specific designation. Cornerstone will be using its White Label line to feature wines made from this handful of special sites. "Our White Label will become synonymous with this group of distinctive vineyards," says Camp, "which will be introduced over the releases of the 2012, 2013 and 2014 vintages. Only a few hundred cases will be produced of each wine." The folks at Cornerstone Cellars believe that there is definitely a sense of place in Napa Valley, just as there is in Bordeaux, Burgundy or the Loire Valley. Camp says the sense of place in the Napa Valley that they seek out year after year is "as compelling as any, anywhere." The Cornerstone Cellars Oakville Station Merlot 2012 is the first single-vineyard release in this White Label series. The wine is 100% Merlot, hits 14.9% abv and retails for $75. A very dark wine, the Cornerstone Oakville Station Merlot has aromas and flavors to match. The nose shows black fruit - the blacker, the better - and it is draped in smoke, herbs and spices. Sage and cinnamon join the smokey cover and provide a complex set of smells. The blackberry flavor is huge, with cinnamon, nutmeg, black olives and dusty sage competing for attention. With all that going on, it is still the fruit that dominates. It’s an amazing Merlot, a beautiful wine. It will fit well in your holiday plans this year, but only 97 cases were made, so don't wait for Santa to bring it. Few wines are more refreshing than Sauvignon Blanc on a balmy late summer day. This summer, Mendocino County's Lula Cellars, a small production winery located in Anderson Valley, debuted the inaugural release of their 2014 Sauvignon Blanc. While the 2014 vintage marks the first Sauvignon Blanc release for Lula Cellars, you may think that they have been at it a while. This wine comes from grapes grown at the 2,450-foot elevation in the Mendocino Ridge region, close to the coast, giving warm days and cool nights – the ideal climate for grape growing. The 2014 Lula Sauvignon Blanc nails down a moderate 13.5% abv in alcohol and $22 on the sticker. If you are a fan of the old-world style of Sauvignon Blanc, you will have to find a place in your heart - and wine rack - for this one. The nose is fruity, to be sure. Apple, pear and apricot aromas spring forth. There is some nice savory action, too - almost a soapy, lanolin smell. Delightful. What's missing is the grassy note that can be so blunt in many new-world Sauv Blancs. On the palate, the wine is rich and juicy with just a hint of herbs and spices. A slight savory taste remains on the finish. Minerality is light and acidity isn't exactly razor-sharp, but it can hold its own with a salad or a big bowl of peel'n'eat shrimp. Pair the Lula Cellars Sauvignon Blanc with grilled meats, veggies, and seafood. Or just crack open a chilled bottle and enjoy the remains of the changing of the seasons. Mendocino County's Anderson Valley has become a good spot for great value in Pinot Noir. The cooler-climate region is making a name for itself as a Pinot Paradise, with the quality we might expect from a pricier neighborhood and a price tag that's a little easier on the debit card. The 2013 Ferrari-Carano Anderson Valley Pinot Noir is made from 100% Pinot Noir grapes that were harvested from their three ranches in Anderson Valley. According to the Ferrari website, the grapes are "cold soaked for three days and fermented in small bins and stainless steel open-top fermentors. Various yeast strains are introduced to add complexity. Fermentors are punched down one to three times per day. Wines are pressed when dry and then moved to barrels to complete malolactic fermentation. The wine aged for 10 months in new and neutral French oak barrels before bottling." Thirty-seven percent of the barrel oak was new. Some much-needed rain in late 2012 brought the 2013 heritage and Dijon clone grapes through another drought cycle into a near-perfect growing season. Ripening occurred on the early side and they were blessed with a big crop, despite the dry season. The wine's alcohol hits 14.4% abv and it sells for $30. This Pinot shows medium-dark color and gives an aromatic nose that telegraphs its complexity. Raspberry, black cherry and plum blend together beautifully with earthy notes and a light touch of oak spice. On the palate, the fruit is as big as Mendocino County, and just as pretty. A light, earthy touch gives a hint of savory and that bit of oak tops it all off. Stout tannins, too, for a Pinot Noir. The winery says you can pair this wine with salmon, fowl, beef or lamb, with excellent results. ZIOBAFFA is an Italian wine, the creators of which - Jason Baffa and Chris Del Moro - have brought their passion for filmmaking and surfing to wine. The press info states that "ZIOBAFFA is bottled and labeled with eco-friendly material, crafted with a biodynamic focus and organically produced grapes. With a focus on sustainable, zero waste production and environmentally friendly bottling, including the innovative Helix re-useable cork closure, these wines are a modern take on an old world tradition." The unusual cork, which looks like a cross between a sparkling wine cork and a liqueur stopper, requires no mechanical assistance for opening. You can access the wine barehanded, even though it is worth some trouble. This is Pinot Grigio the way I wish Pinot Grigio always tasted. A smoky nose sports citrus and almonds in addition to the small campfire. It has quite a bit of character for a Pinot Grigio. The palate is earthy and lemony, with kiwi on the backside. The finish is not terribly long, but the tropical notes stay with it to the end, along with a honey component. The acidity is not thrilling - the only negative I found - but the mouthfeel is quite round and full. 12% abv means you won't lose focus from a large pour. Lula Cellars, a small production winery located in Mendocino County’s Anderson Valley, spent the summer pouring the inaugural release of its 2014 Sauvignon Blanc and the latest Rosato effort. The Rosato is delightful, while the Sauvignon Blanc has yet to grace this space - it will soon, though. They do have another wine perfect those summer days - or, as we are still saying in Los Angeles, these summer days. 2014 is the sixth vintage of Lula’s Dry Gewürztraminer. The wine is made from grapes grown in several Mendocino vineyards. Mendocino is gaining more recognition lately for its cool-climate Alsatian varieties. It's a $22 wine, and only 200 cases were produced. The Lula Cellars Dry Gewürztraminer for 2014 has a gorgeous nose - honeysuckle with sweet peaches and pears. That floral aspect is dominant, by the way. On the palate, full frontal fruitity and a mild pepper component play together quite nicely. The acidity keeps the sweetness in check, which is a big job. This wine, despite "dry" on the label, is extremely sweet. The spiciness is interesting and opens up additional pairing possibilities. This is a natch for Thai food or spicy tacos. The wine also pairs well with seafood and shellfish. The winery recommends Dungeness crab, halibut and lemon risotto with asparagus.